Geometry is the branch of mathematics dealing with the properties of lines, shapes, surfaces, and their orientation with each other. 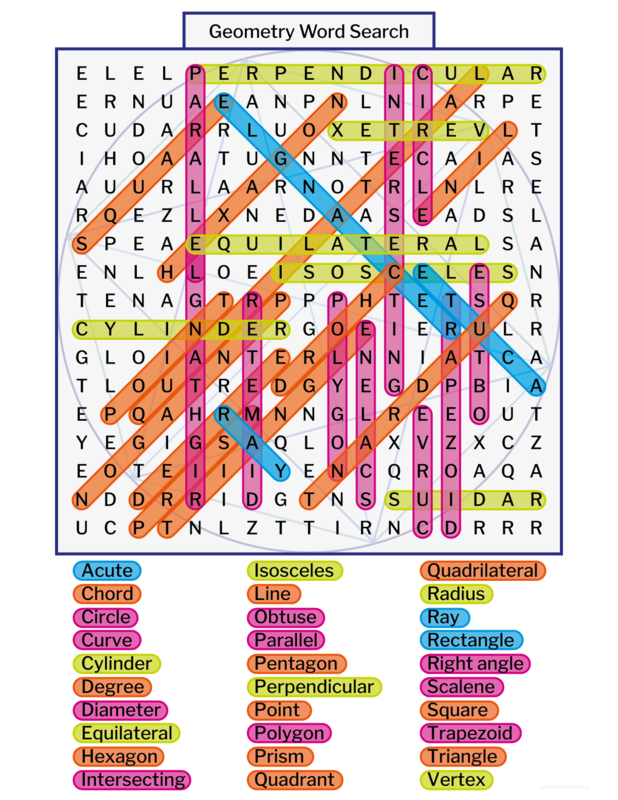 This Geometry Word Search contains 30 geometry glossary terms. Find these geometry terms vertically, horizontally, and diagonally as well as forward and backward on this 8 1/2″ x 11″ puzzle. For best printing results, use the PDF from the link below. If finding one (or all) of the terms proves difficult, take a peak at the completed word search using the links provided below. Word searches are a load of fun! 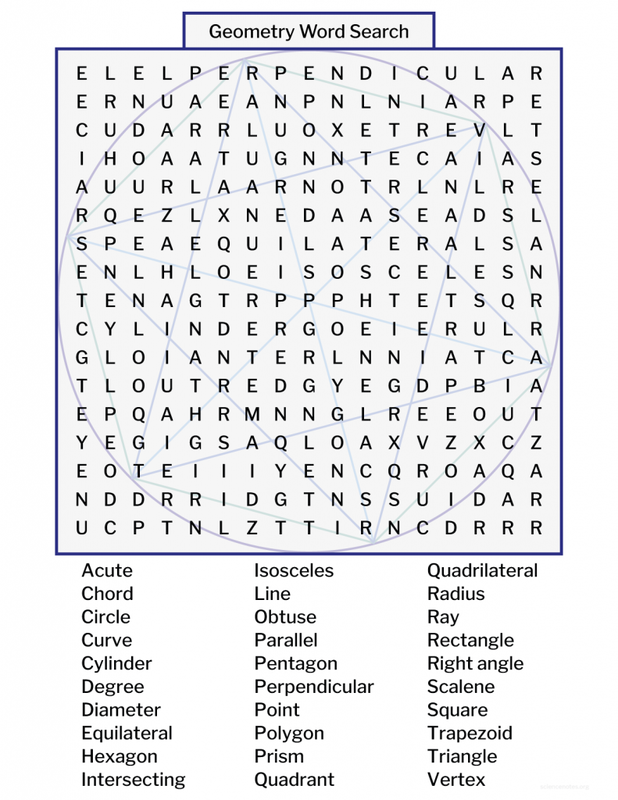 Check out our other science-related word search puzzles.